Leicester City could see their relegation worries worsened when they welcome Liverpool to the King Power Stadium on Monday night. Here are our betting tips and predictions for the vital match under the lights. Leicester have managed two wins over Liverpool in their last 10 attempts, one of those being last season’s home fixture. The Reds put on a classy display to beat the Foxes 4-1 at Anfield last September. Leicester have won five from 12 home matches this season, while over 2.5 goals has happened in 67% of matches at the KP. Liverpool have won six from a possible 13 away matches, while over 2.5 goals has happened in 54% of matches on their travels. Islam Slimani and Leonardo Ulloa remain as doubts for Leicester as they struggle to overcome their respective injuries. Dejan Lovren has been in Germany this week to see a specialist, in an attempt to find a solution to his recurring knee problem. Ragnar Klaven has fully recovered from illness. 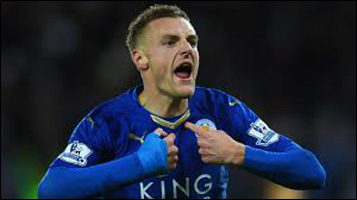 In February last year, Jamie Vardy volleyed a wonder-goal over Simon Mignolet’s head to give an excelling Leicester the lead against Liverpool. Fast-forward 12 months and the contrast in the Foxes’ form couldn’t be any starker. They’re still yet to score in the Premier League this calendar year, and have lost their last five league games. Such form has raised serious doubts over Claudio Ranieri and his men, with relegation now appearing a very real possibility. Their visitors, meanwhile, are actually without an away win in the league since December. They’d gone on their own run of five league games without tasting victory, but emphatically silenced their critics with an impressive win over Tottenham. Over two weeks will have passed between that Spurs match and the encounter with Leicester. Jurgen Klopp has been able to whisk his squad off to La Manga, in Spain, to recharge their batteries and to re-focus on the final third of the season. In that same two-week period, Leicester have been knocked out of the FA Cup by League One side Millwall, and were beaten in the Champions League by Sevilla. The away side are therefore clear favourites for the clash. Their two week break is likely to have worked wonders, and they’ll be looking to make a statement to their top four rivals. You can back an away win at 4/7 with Paddy Power. There’s more value on a handicap bet, however. You can get Liverpool -1.0 at 13/8 with Paddy Power, which means that Liverpool have to win by two goals or more for a winning bet, but if they win by one your money’s refunded.